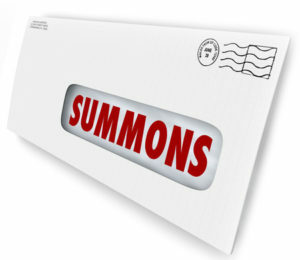 You may be aware that the sheriff department handles process service for the courts. You may not be aware that you do not have to use the sheriff to have your papers served. You are able to use a private process server that is certified by the courts. There are several good reasons to use a private process server instead of the sheriff. The sheriff’s department has a lot of responsibilities, many of them more important than serving papers. Process service is usually something that is only done by the sheriff and their deputies when no other matters are pressing. This means that your papers may not be served to the appropriate party in a timely manner. It is quite often that papers are never served at all when handled by the sheriff’s department. The sheriff does not have the time to hunt down the party that needs to be served. While they will go to their place of residence and possibly their known place of employment, if the individual is not easily found the sheriff will declare that they could not be served. A private process server will be able to track down the individual because that is their sole job. They have the means and time to discover where the individual is so that they can be served. A private process server can also go to a residence or place of employment at a specified time to be certain of catching the individual for service. If you have a court case and need papers served, contact us today for assistance. Our professional and experienced process servers in Florida can help you get your case moving along quickly.